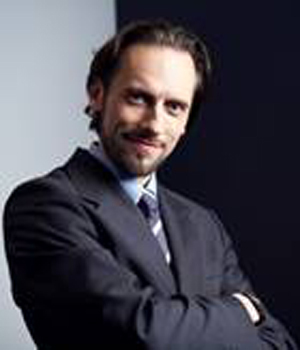 Bartłomiej Walas – Ph.D. in physical education he has completed postgraduate studies in international tourism at the Institute for Research and Advanced Studies in Tourism – IREST at the Sorbonne. Specialist in tourism policy and tourism marketing. He gained his professional experience in teaching and research at the University School of Physical Education in Krakow, the Warsaw School of Tourism, Catering and Hospitality Management. Dr Walas is currently working for the University College of Tourism and Ecology in Sucha Beskidzka, where he holds the position of Dean of the Faculty of Leisure and Tourism. He combines his teaching activities with professional duties, holding tourism management positions in the research center at the Institute of Tourism and the Wawel-Tourist company. 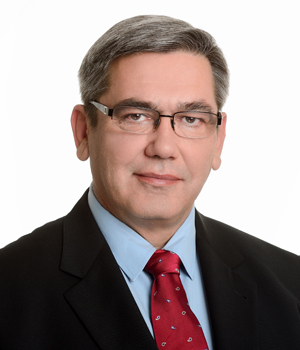 Since 1996 he has been professionally associated with the National Tourism Organization – until 2008 as Head of Brand Office in Paris and to July 2017 Vice-president of Polish Tourism Organization in Warsaw, where he was responsible for promoting Poland on foreign markets. Dr Walas is the author of the marketing strategy for Poland in the tourism sector for the years 2012-2020, co-author of numerous books, textbooks and scientific articles on territorial marketing and tourism policy. Mary Ann Short - Ph.D. of Arts (The Ohio State University). She has been with Antioch University since 2013 serving in a variety of roles including academic leadership and faculty. The lecturer has over 25 years experience in higher education and the private sector. Her professional experiences range from large research university to small private, non-profit institutions and Fortune 500 companies. 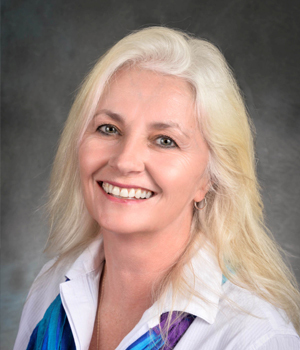 Mary Ann’s professional and teaching interests stem from her experiences creating leader development programs, change management initiatives, leading training and development teams and academic programs, human resource development focused on organizational and leadership development initiatives. She engages with her community by serving on several non-profit boards of trustees. 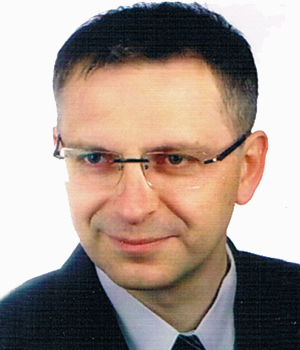 Marek Łabaj – associated professor, Ph.D. in physical education. Specialist in sustainable tourism, development of tourism and recreation infrastructure, sustainable development, quality standards and management etiquette. Longtime academic lecturer and researcher, associated with a great number of universities and other scientific and research centers in Poland and abroad. Expert, author and co-author of numerous publications: scientific articles, conference papers, manuals, textbooks, monographs, as well as university curricula, scientific projects, expert opinions and scientific studies. Creator of development strategies for regions, coordinator of project teams and projects co-financed from European Union funds. 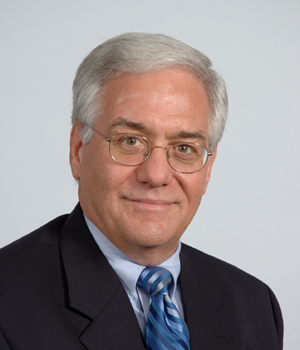 Stephen Soto - Doctor of Management (University of Phoenix), MBA and MA in Economics (Rutgers University), BS Computer Science and BS Electrical Engineering (MIT), and a BS in Business Administration (Elmhurst College). The lecturer has more than ten years of experience teaching both online and ground courses in a variety of disciplines (management, business, economics, finance and technology). He has extensive experience in industry in managerial positions, e.g. in the field of strategic planning, product marketing, and product planning and has been awarded six patents. He also published several papers in the Competitive Intelligence Review. 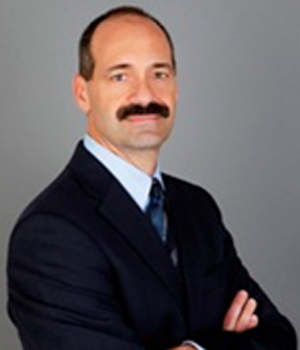 Gary Stroud - Ph.D. in Management (Capella University), specialist in the field of Human Resources, Leadership, and Organizational Management, the lecturer for several universities He has over 25 years experience in the corporate world. He has started with Johnson & Johnson in their HR department playing an active role in the development of their international manufacturing. Later, as Vice President of Human Resources, he had responsibility for the human resources function at manufacturing plants in Mexico, Puerto Rico, Canada, and England. He is President of Freshwater HR Consulting and Coaching. He is the author of four books and numerous articles. His research interests are in mergers and acquisitions, leadership qualities, organizational behavior, ethics and change behavior. 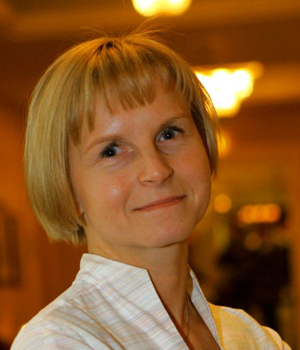 Anna Cichońska - she has been working in tourism for over 20 years. She successfully managed sales and marketing department at one of the leading companies in the Polish inbound tourism services. The company enteredand became a key services provider for Poland at English-speaking countries. Next,she moved to Polish Tourist Organization – national tourist board, where she had opportunity to apply her experience in the areas of planning and monitoring of promotional projects implemented by Organization. In 2016,she was appointed a director at the New York office of Polish Tourist Organization. Her professional experience has been complemented by an extensive training program of courses and workshops. The most important part of the education was a Postgraduate Diploma "Management in Culture, Art and Cultural Tourism" at the University of Economics in Katowice and "Modern Company Management - Marketing Management – Marketing and the use of modern technologies in marketing, effectiveness of marketing activities" delivered by the Center for Management Improvement and Das Wirtschattsfoerderungsinstitut der WirtschaftskammerOesterreich. She gained practical skills and knowledge in management and information technology by working for a consulting company and the new technology sector. The combination of practical and theoretical knowledge answers to the needs of changing marketing trends. Therefore, one of the main areas of competence has been analysis of effectiveness ofon-line marketing activities, including the impact of traditional advertising on on-line communication.The research has been used for operational and strategic planning, white papers, as well as for other various areas of activity. As part of her professional career, she has had opportunity to represent Poland at international tourism fora, including the European Travel Commission, the Organization for Economic Co-operation and Development. In addition, she delivered guest presentations for New York University students and the University of Economics in Katowice. She collaborated on the study of management of tourism promotion in Europe for Congress of Poland’s Tourism. 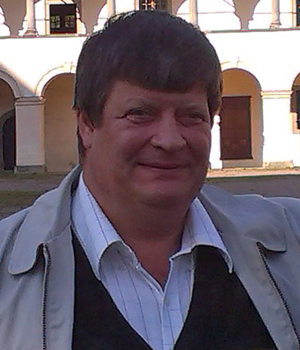 Tomasz Pasierbek – Ph.D. in Biological Sciences from Department of Ecology at the Institute of Botany within Polish Academy of Sciences in Cracow. Expert in environmental biology and ecology of mountain forests. For many years associated with the Babiogórski National Park and he is currently exercised the function of Director of the park. Expert in the area of ​​nature conservation, with extensive experience in the field of education, gained during his career as a researcher and teacher. Lecturer of higher education institutions, including the University College of Tourism and Ecology Author and participant of numerous research and education projects. Author and co-author of many publications in the field of biology, nature conservation and tourism. Ronald Morgan - B.S. (University of Delaware) and M.S. (Kansas State University) degrees in Computer Science and an MBA (University of Chicago) in Finance and Marketing. He most recently served as the Dean of Academic Technology & Innovation for Franklin University and he also served as the Chief Information Officer and the Program Chair for the undergraduate Management Information Sciences program with responsibility for the Technology Leadership Focus in the MBA program. The lecturer is a seasoned information technology executive with more than 30 years of experience, 20 years in senior management roles. His professional focus has been to add value to business operations and deliver information critical to the needs of executive decision-makers by focusing on the external customer and ensuring the alignment of information with business objectives. 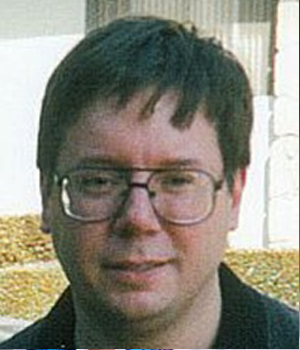 Sándor Némethy – associate professor and employee of three universities: the University of Gothenburg, Sweden, Eszteházy Károly University, Gyöngyös, Hungary, and the University of Pécs, Hungary. He is an expert in biology and geology. The main areas of his expertise and interest include development of regions, farm tourism, natural resources management, agricultural ecology, biochemistry, historical geology, rural development and rural tourism with particular emphasis on oenotourism and sustainable management of cultural landscapes). These subject areas constitute the basis of a number of courses which have been developed by Dr. Némethy who is teaching in English, Swedish, Hungarian and Polish. 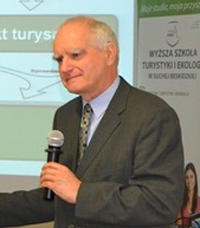 Paweł Skawiński – Ph.D. in science of forestry. He worked for the Institute of Nature Conservation, Polish Academy of Sciences, where he conducted research on the impact of tourism and skiing on natural environment of the mountains. 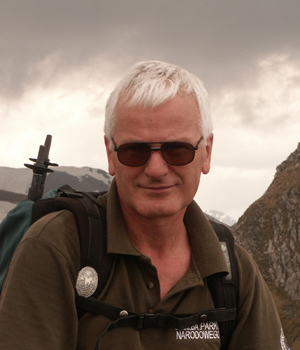 He was also a researcher and lecturer in the Tatra National Park and its Head in the years 2001-2014. Lecturer at a numerous higher education institutions – since 2010 working for the University College of Tourism and Ecology in Sucha Beskidzka. Author and co-author of numerous scientific publications. The main areas of his professional interest include: nature conservation in the mountain national parks, tourism management in the area of e mountain national parks, tourist safety management in the mountains, ecotourism, relations between protected areas and local authorities. High mountain guide, alpine skiing instructor, mountain rescuer, alpinist and ski mountaineer. Adam Mikołajczyk – MA graduate from University of Łódź, marketing expert, specializing in branding of cities and regions. For more than 15 years associated with territorial marketing and tourism consulting sector. 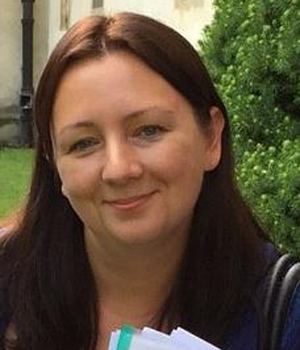 A graduate from Lodz University (major in special economy – managing the city and the region) and from The Chartered Institute of Marketing (London/Warsaw). Between years 2001–2003 consultant for the Polish Agency of Tourism Development responsible for creating first tourism marketing strategies in Poland. 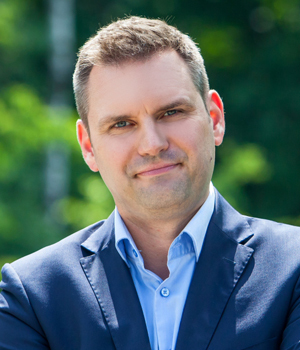 Since 2010 CEO & Founder of Best Place – European Place Marketing Institute and the advisor to the President of the Polish Promotional Emblem Foundation “Poland Now”. Member - founder of the International Place Branding Association (www.placebranding.org). Trainer and consultant in several projects for training and education in the field of tourism promotion and investment and economic units of local government. Involved in British Council’s ‘City Idea Bakers’ – an international group of experts. Two-time winner of M. Orłowicz Award for the best press and television materials promoting the Polish tourism. 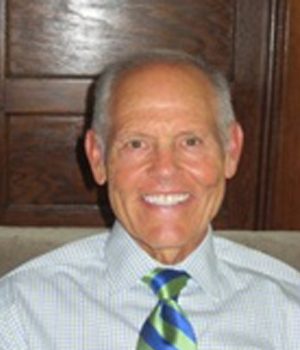 Bruce Ramsey - Master’s degree in Communications (Indiana University) and MBA (Ohio University). He has more than 25 years of teaching Marketing and Communications courses at the undergraduate and graduate level. He has developed more than 30 marketing and communication courses. His primary scholarly interest is in creativity and the development and application of innovative marketing and communication tactics. He has been a Director of Marketing for a hospital chain, had his own marketing firm, was a partner in an online business, has developed intensive management training seminars, authored web sites, produced instructional videotapes, and provided business and marketing consulting services. Wiktor Siegel – MA graduate of Collegium Medicum at the Jagiellonian University in Cracow, postgraduate of management and administration, as well as marketing from Chartered Institute of Marketing in London., trainer and coach with many years of practical experience in management, marketing and sales. Author of workshops for the biggest global brands, including: 4F, Biomed, ABB, Grupa Żywiec, Hestia, Henkel, GlaxoSmithKline, Deloitte, DB Schenker, Mitsubishi, Johnson & Johnson, Philip Morris International. Founder and Partner in project company exploHR, specializing in research and implementation of changes. He performed lectures and workshops in Polish and English in Austria, Belgium, Finland, Germany, Great Britain, India, Italy, Russia, Slovakia, Ukraine, USA. Experienced Master Trainer in Project Management, Change Management, Strategy Implementation, Leadership, Motivation, Coaching, Stress Management and Wellness Strategy. Tatra Mountain Guide, passionate for mountain trekking and ski-tourning. Remigiusz Chrzanowski – MA graduate from Wroclaw University, Faculty of Management and Marketing of Economics, specialization Company Management. Manager with many years of experience in creating and implementing marketing strategies, creating brands and the image, building and managing sale teams. He conducted business projects on both sides of the market – as a customer and as a supplier of products and services. He managed marketing and sales departments in B2B and B2C corporations, where he was responsible for supporting evolution, restructuring, acquisitions and takeovers, as well as introduction of such companies to the Warsaw Stock Exchange. Since 2002 he has been participating in numerous consulting projects, mainly for enterprises operating in the financial, industrial, education, energy, medical, agricultural, tourism, FMCG, Human Resources and public relations sectors. 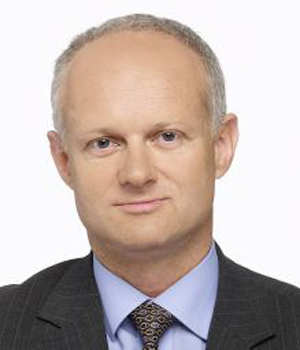 Currently he is the chairman of the management board of the commercial company (one of the leaders in the small home appliances industry) and is a member of the management board of the holding company ASPA SA. which concentrates production-sales companies. Lecturer and member of Business Board of The University College of Tourism and Ecology, as well as coach and consultant for independent business project. 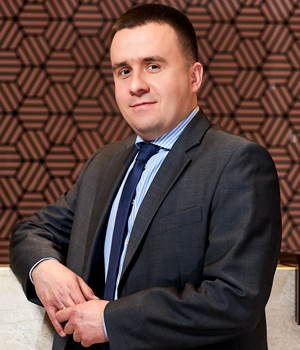 Marcin Ziobro – MA in Tourism; result-driven and success oriented senior manager in hospitality industry. General Manager at Hilton Garden Inn Krakow Airport, previously – Director of Sales and Marketing. Responsible for P&L, team management and value growth. As a hotelier with twelve years of experience, he worked for Accor, Vienna International Hotels & Resorts, Hilton Worldwide. Before he had been engaged with the local DMC, leading incoming and event local and international projects. He has been engaged with training projects for a number of universities and higher education institutions, he has also acted as a freelance trainer specializing in sales, customer care and sustainable development in the hospitality business. He initiated and has been leading the cooperation with the Krakow “Home Away From Home” run by Ronald McDonald’s House Charities. Holds position of the regional director at Chamber of Commerce of the Polish Hotel Industry. Amy Browning - Bachelor's degree in accounting and a minor in psychology (Indiana State University), Master of Business Administration from Ball State University. 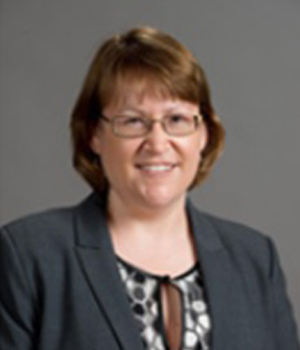 Ms. Browning served as Accounting Program Chair – Wabash Valley Region and Accounting Curriculum Chair at Ivy Tech Community College in Indiana, where she taught for thirteen years. She has also taught accounting courses at Bradley University in Illinois and accounting/ business courses at Monmouth University in Illinois. She has many years of experience as a specialist in business accounting, i.a. in a holding company and a regional accounting firm. Rafał Łabaj - Ph.D. in economics at the University of Economics in Cracow. Lecturer at the WSTiE in Sucha Beskidzka and the GWSH in Katowice. Expert in the areas of economics, finances and investment management. His research area covers the Cracow School of Economics and its links with the Austrian School of Economics. His interests also include issues related to business management and investment management (particularly new concepts: gamification and Business Model Canvas). 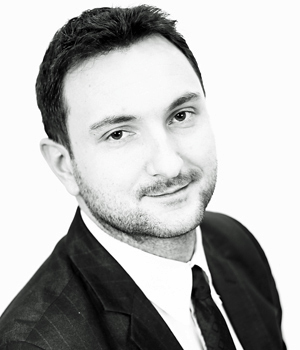 He gains practical experience while advising and helping develop new start-ups. 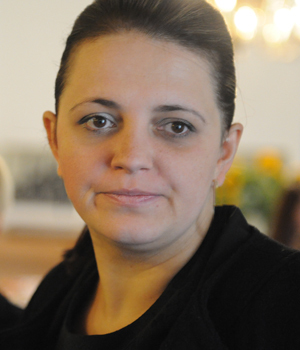 Anna Staszewska – lecturer and coach in the field of tourism and recreation. Expert in promotion, marketing and management in tourism, recreation and sport. Specialist in training courses on customer service in the tourism and hospitality industry and the development of tourism products. 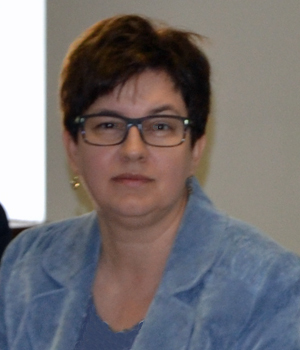 She focuses on issues of industrial and post-industrial tourism; cooperates with the Silesian Tourist Organization – she is a board member – and the Cluster of Industrial Tourism. 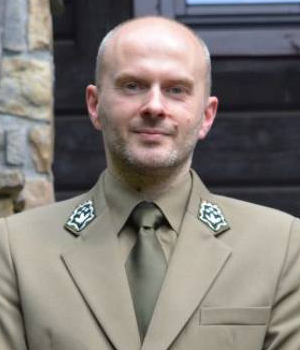 Former expert in the Marshal Office of the Silesian Province in the field of tourism. 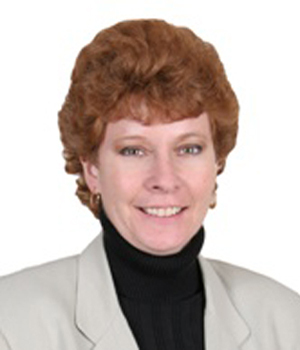 Jennifer Balascio - specialist in the field of health care with 30 years of professional experience, a Certified Professional in Healthcare Quality, and a Lean Six Sigma Black Belt. She is also a professor in the Master’s of Nursing Program at University of Indianapolis, and an adjunct in the Master’s of Business Program at Antioch University. She is at Dissertation phase of obtaining a doctorate in Organizational Leadership. She has ten years of experience as a consultant for safety programs in acute care and home care. The lecturer practices as an independent healthcare consultant. She was the Director of Quality for a hospital. She is an active member of the International Leadership Association and the National Association of Healthcare Quality. Karolina Ratajczyk – expert practitioner in the field of hospitality industry, focusing on ecological solutions in this sector. Academic teacher, specializing in International Tourism. She is a hospitality practitioner and lecturer. Her scientific interests include: hotel management, eco-friendly hotel, organization of hotel and tourism services, marketing of tourism services, catering services, the market of tourist and hospitality services. She is engaged in educational projects financed by the EU funds. 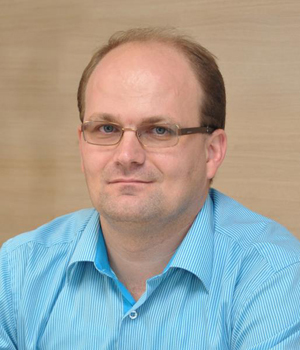 Pavol Otepka – assistant professor at Slovak University of Agriculture in Nitra, expert in organic farming practices. Member of the research team at Nova Scotia Agricultural College in Truro, Nova Scotia, Canada. Expert in tourism (especially rural tourism), sustainable development, renewable energy resources, sustainable agricultural systems, medicinal plants cultivation as well as biology sciences, agrotourism and rural development. Experienced lecturer and author of numerous scientific works. Jadwiga Sobczuk – Ph.D. in Social Sciences, historian, specialization: history of the twentieth century. Expert in social work and social tourism. Lecturer at the University College of Tourism and Ecology in Sucha Beskidzka. The editor-in-chief of the WSTiE Scientific Journal. Coordinator of scientific and research projects in the field of tourism and social sciences and coordinator of domestic and international conferences. 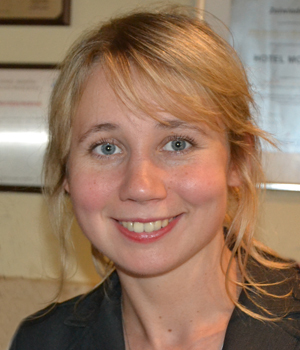 Her scientific interest focuses on the history of the Polish – Slovak border region. She is interested in widely understood issues of teaching and education, specializing in social exclusion. Author of numerous publications and scientific articles. currently pursuing his Ph.D. degree, specializing in tourism operations. He worked as an assistant and lecturer at the Institute of Tourism of the Academy of Physical Education. Scholar of the Government of Austria, participant of the course on marketing in tourism and integrated management at the University of Economics in Vienna. Travel guide and organizer of numerous tourism trips in protected areas, including rally wanderings and trekking tours. Coordinator of many student exchange programs and international seminars held in France, Germany, Hungary and Poland. Lecturer in the field of business operations in tourism at the University College of Tourism and Ecology in Sucha Beskidzka. Member of Polish Society of Tourism and Country Knowledge (PTTK) and the Audit Committee of Malopolska Tourist Organization (MOT). Author of numerous scientific publications regarding the history of tourism and tourism development. 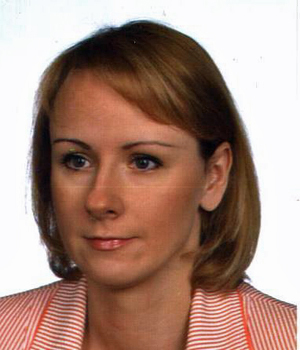 Elżbieta Chowaniec – a graduate from the Faculty of Social Sciences at the University College of Tourism and Ecology, majoring in Political Sciences with a specialization in Public Relations; she obtained her Master's degree from the Faculty of International and Political Studies at the Jagiellonian University. For many years professionally associated with the University College of Tourism and Ecology, where she holds the position of vice-director of Academic Career Office. She specializes in social communication, image creation and promotion of educational services at the higher education level. She has extensive experience in the area of professional counseling and creating individualized career paths, which she gained while working with national and international students. Experienced in coordinating and implementing projects including those financed by the European Union, the Polish National Bank and Visegrad Fund. Anna Maria Oleksa-Kaźmierczak – a graduate from the Faculty of Computer Sciences of Tourism and Ecology. Head of Academic Career Office, responsible for students’ and graduates’ career development, coordination and inspection of domestic and international student internships and for training programs and apprenticeships. She is a consultant specializing in student internships and development of students’ career paths. In charge of media relations and advertising, coordinator of promotional teams representing the university; responsible for initiating and maintaining national and international contacts relating to the cooperation between education and business sectors as well as EU projects. Coordinator of the Erasmus+ and Youth in Action Programs. Coach and advisor in the field of website administration. Cooperates with the European Centre for Education and the Cooperative Fund for Rural Education in Sucha Beskidzka. Conducts courses for teachers on modern IT solutions, software applications and presentations. Lecturer under The Human Capital Operational Programme – providing computer training for people aged 50+.